Harrisburg Half Marathon and Marathon Sale! 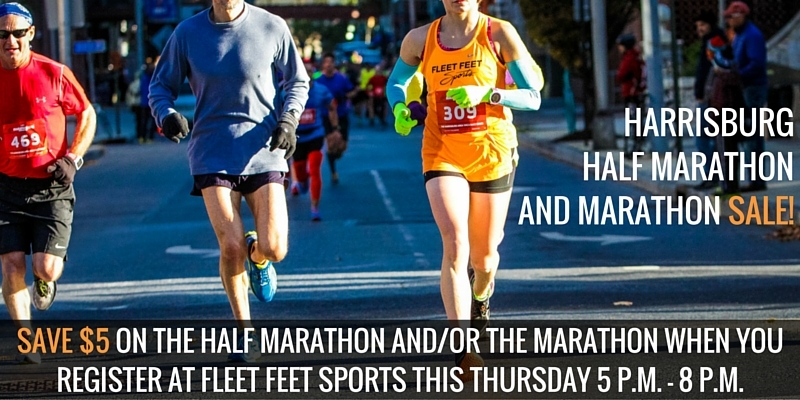 Home › Race and Event Calendar › Harrisburg Half Marathon and Marathon Sale! Save $5 on the YMCA Half Marathon and/or Marathon Thursday July 7 when you register in-store at Fleet Feet Sports! Did you know the Half Marathon course has changed?! Check out the new course!